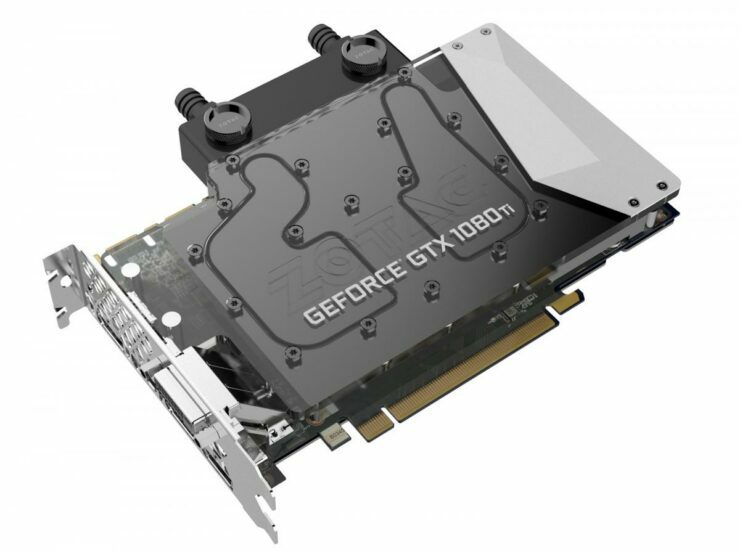 AIBs are gearing up to unveil even more custom solutions of the GeForce GTX 1080 Ti at Computex and ZOTAC is one of them. 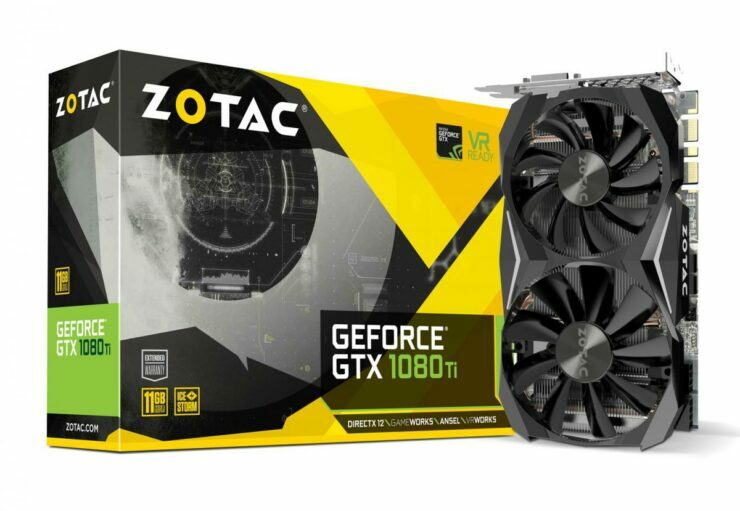 Today, ZOTAC has announced two new variants, the ZOTAC GTX 1080 Ti ArcticStorm Mini and the ZOTAC GTX 1080 Ti Mini. Both of these cards are the smallest 1080 Ti that will be available on the market and they are really powerful with no compromises on performance and cooling. It’s actually quite shocking how ZOTAC managed to cram a ton of electrical circuitry and various components inside a PCB that measures only 21cm. The GeForce GTX 1080 Ti makes use of G5X memory chips unlike HBM2 which takes up a lot less space. This only shows that we can expect better SFF designs from NVIDIA AIB partners in the future as denser capacity GDDR6 and HBM2 memory becomes feasible with NVIDIA’s Volta generation of cards. The new cards are arriving in 2018. As for the ZOTAC variants, you can find more details below. First up, we have the ZOTAC GeForce GTX 1080 Ti ArcticStorm Mini. This graphics card comes with a small 21cm PCB that is cram packed with components. The full cover waterblock looks amazing, the card is powered by dual 8-pin connectors and should allow for decent overclocking gains. This card uses a dual slot design with the reference display output configuration. This means that we are looking at dual DVI 1.4, dual HDMI 2.0 and a single DVI connector. The card also has a 2-Way SLI connector in case you want to run multiples of the same card. The card features a backplate on the back which looks nice with its matte black texture. The second card is the simple, GeForce GTX 1080 Ti Mini which comes with a dual slot, dual fan cooling system. The plastic shroud on this card is similar to the AMP! variants utilized on beefier cards. The Mini comes with dual 8-pin connectors and a PCB that is similar to the Arctic Storm. But instead of liquid cooling, we are looking at air cooling. The card features two 90mm fans that push air towards a large aluminum fin heatsink fitted with dense copper heatpipes. The heatpipes make direct contact with the GPU baseplate and push the heat load out of the central chamber to the main heatsink so that the fans can throw the hot air out of the exhaust vents. Prices on both graphics cards are not confirmed yet but we expect to see more details such as clock speeds and release date at Computex, next week.